be charged higher than necessary. happen to Mtn Supersaver and Ipulse? 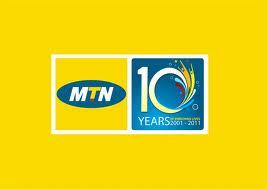 Final Crucifixion of Mtn Magic Sim. This is terrible, oooo where can i port to now..
pls how do i make the connection stable after exhausting the threshold frequency on BIS.It keeps shutting me out at intervals.Any help would be appreciated. Mr Williams, i am deeply sorry about that.Kindly use a workable antivirus to scan ur system please. Accept my sincere apologies. For now, the existing one is still working. When i discover new way of activating it, i will let the house know about it. Meanwhile, i don't even know the package where Mtn dump me now self. Switch your phone off and remove simcard for 12hours. You are set to browse, you can then place simcard in to your 3G modem or tether youe mobile device with your PC and browse the internet.